Brunette To Blonde - Bleach Or Color Remover? « Does Hair Color Damage Hair Texture? Question – Brunette To Blonde – Bleach Or Color Remover? I have naturally medium brown hair which is a few inches below my shoulders. I cover the natural brown with a drugstore product to even out the color which tends to fade on the ends. Recently my sister who just started beauty school about a month ago promised she could easily take me to a very light blonde. My heart was set on platinum blonde. My sister said it was easy and proceeded to use a bleaching product she mixed with 40-volume to remove all the brown. My hair started to fading to orange, my scalp burned and my sister got frightened that she was in over her head. In a panic she called a friend who had just graduated from beauty school. The friend told my sister we needed to use a color remover instead of bleach. I was devastated when I heard the news. My sister decided it was too late to turn back from the bleaching. She decided if we kept bleaching, eventually my hair would turn a beautiful white blonde. Unfortunately the more she bleached and rinsed, the more orange my hair turned. Because the ghastly hair color, my hair took a major beating. It’s now bright orange and completely fried. Please, can you tell me how to get to the pale blonde of my dreams and reverse the damage to my hair? Also, in your opinion, should we have used a color remover instead of bleach? Would the results have been different? Answer – Brunette To Blonde – Bleach Or Color Remover? Dear Brunette To Blonde – Bleach Or Color Remover? I’m so sorry to hear of your hair color trauma. Hair color guru, Barbara Lhotan told me she would also have used a bleach or lightener and steered clear of any type of color remover or dye solvent. Unfortunately you didn’t include the name of the bleach/lightening system your sister used. As a result, Barbara was only able to provide general comments about your situation. As Barbara pointed out, in most cases, hair colored with brown dye will usually not easily lighten past a light orange. Most hair color experts will never attempt to dramatically lighten brunette hair during one visit. Instead, the hair would be highlighted and transitioned to a golden-orange stage over a series of salon visits. During every color transition stage, hair color experts perform frequent hair tests to test the health of the hair. If hair appears to be distressed, the formula may be immediately rinsed off and the color treatment may be temporarily postponed. A lot of colorists often use a protein treatment applied to the hair and processed at room temperature for up to ten minutes. To soften hair and make it appear less brassy, an acidic toner is sometimes applied. Optionally hair maybe glazed for up to 10 minutes at room temperature. When hair is transitioned over a period of weeks or months, the brunette hair can be completely lightened to a beautiful platinum without over drying, stressing or overworking the hair. At this point in time I would suggest you locate a great color correction specialist with extensive experience. Schedule a consultation appointment to discuss the very best plan to transition your orange hair to the platinum blonde you desire. It’s possible you may need to have some or all of the damage removed. 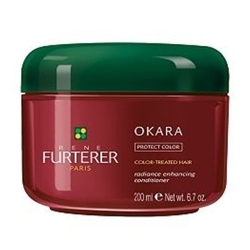 You may also need to undergo some deep conditioning treatments from great products such as Rene Furterer – Okara Radiance Enhancing Conditioner or similar to help your hair recover. 3 Responses to "Brunette To Blonde – Bleach Or Color Remover?" I was more than happy to search out this net-site.I wanted to thanks on your time for this excellent read!! I undoubtedly enjoying each little little bit of it and I have you bookmarked to take a look at new stuff you weblog post.